Olympia's unique technical take on multi-season motorcycle apparel allows their gear to adjust to ever changing conditions. Three separate layers can be combined to adapt the jacket to the current weather on your multi-day trip or your everyday commute. The Mega Vent Panel System transitions from solid textile to mesh jacket with just a few pulls of the zippers. A removable Thermolite Insulation layer holds in warmth, while the over/under waterproof rain jacket provides breathable rain protection. The Olympia Expedition 2 Jacket can thrive in all 4 seasons while still providing abrasion resistance and impact protection from Cordura fabric and CE level 2 armor. Layer One - consists of a rugged 500 and 1000 D Cordura shell for maximum abrasion resistance. Olympia’s exclusive “Mega Vent Panel System" transitions this jacket from solid body, to adjustable airflow construction in seconds. Zip down Cordura panels at the chest, arms, and back expose ballistic air mesh panels that offer additional abrasion resistance plus adjustable airflow construction as needed. Forget having to stow away or misplace cumbersome removable vent panels as these panels stay attached to the jacket and fold away neatly into self-storage pockets. Layer Two - consists of a fully functional Hi-Viz Yellow rain jacket that can be worn both over and under the main out shell as weather conditions dictate. Layer Three - consists of a removable full sleeve thermal layer with authentic Thermolite insulation. This layer can be worn under the rain jacket or the main outshell. 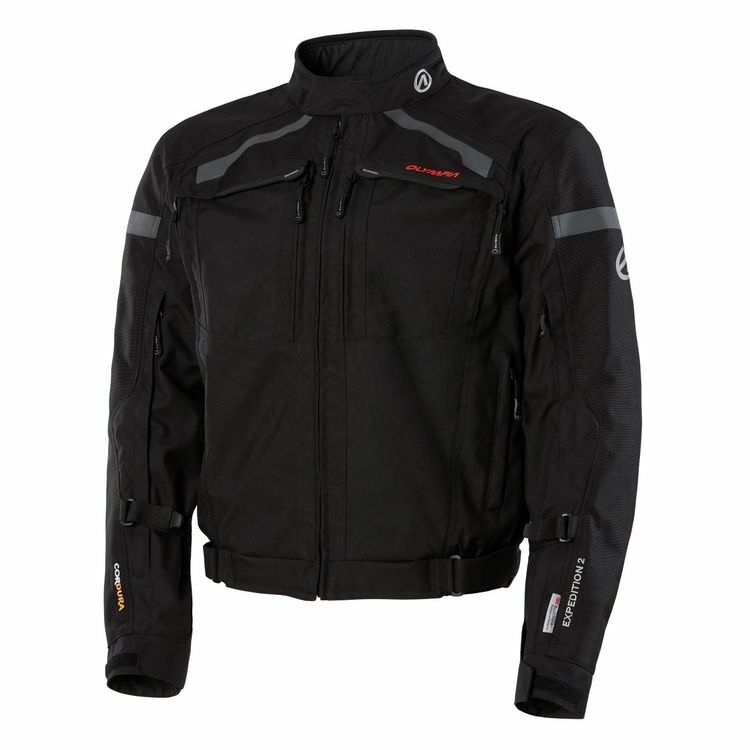 This handy zip out feature insures multi season riding comfort through a wide range of temperatures and weather conditions. Just did a 700 mile winter no rain run. Very warm with the liner and no draft at all. Good Quality Material and Zippers so far. The 2 vent zippers are too close to main zipper so I keep opening a vent instead of unzipping the jacket down. Was a little snug in the waist/hips under my beer belly but the rest is very flexible and comfortable to move arms. Armor is fantastic. Maybe $80 over priced but it is New and The Ce is the best out. Reading the big and tall guide pointed me to the original expedition, does this updated one have a similar fitment? Just read that this jacket includes a removable fleece vest, making this 4 layers. Any comments from you who have this jacket? Thanks. BEST ANSWER: It's 3 layers. Main shell with the armor and the vents. Rain liner. Insulated, full sleeve liner. There's no vest. Also, unless I'm just blind, there's no "stow away knit hood" on the rain liner either. 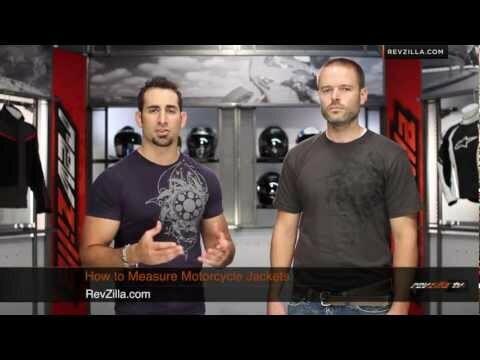 Would this jacket be appropriate for sport touring? BEST ANSWER: An All Around 4 season absolutely.